At any and every fun day you visit, you can always expect to see inflatables, and amongst them is the always popular, favourite amongst all; the Bouncy Castle. 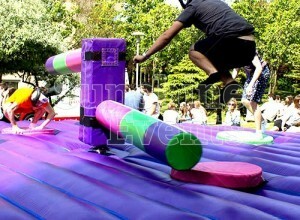 You’ll find yourself bouncing, bounding and jumping for joy with our collection of classic inflatables. 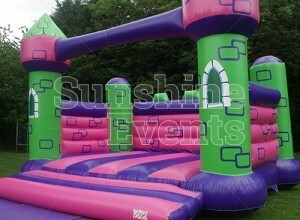 With a variety of castles available, we’ve catered to all - young and old can have the opportunity to bounce away as we offer bouncy castles for children and adults. 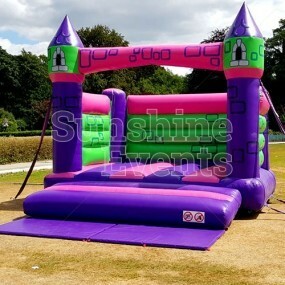 Featuring vibrant colours, our castles range in different sizes from the smaller Children’s Castle to the larger Event Castle - which measures at over 7 metres wide, allowing up to 20 adults / kids to bounce and bound for the whole event. 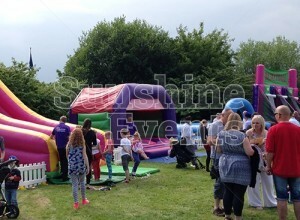 Across the nation, our range of inflatables have exceeded expectation amongst guests, and the bouncy castle remains as popular as ever, the first on the list of any fun day and the last to finish entertaining young and old alike. 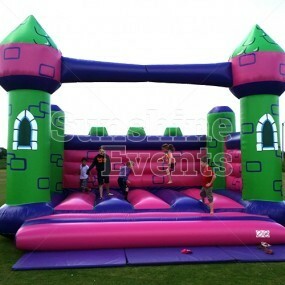 Using one of the leading manufacturers in the UK, our range of bouncy castles are created in line with the strictest of guidelines and using the highest quality of materials. Featuring vibrant colours and sometimes impressive size, our inflatables are sure to attract the attention of guests and hold it as they enjoy the fun to be had. Inviting the Fun Experts to your event, you and your guests will be in safe hands as our fully trained team set up and supervise / operate equipment (where required) in line with the manufacturers and health & safety guidelines. With over 10 years of attending some of the best events, we have gained the experience and knowledge to ensure that everyone’s experience of your event is one to remember. Health & safety is paramount, and we don’t shy away from sharing everything you need for your event, with £10 million Public Liability, Risk Assessments, Method Statements and more all available upon request or downloadable from our website. 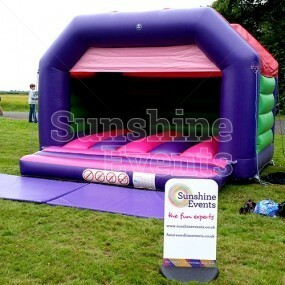 Every item you see across this website is housed within our very own Fun Factory, where it is maintained to the highest of standards, ensuring it is fit for purpose at your event and can be enjoyed safely. Now all there is to do is speak to one of our team and start your journey, which we promise will be one you want to revisit again.